This is Sunday Scan -a weekly feature where I post a super-high resolution (3,000 pixels in height) scan of great American comic-book cover art. This week’s selection is from the ORIGINAL Secret Wars limited series from Marvel comics. This is the cover for Secret Wars #10 (1985) -pencils by Mike Zeck and inks by the legendary Terry Austin. 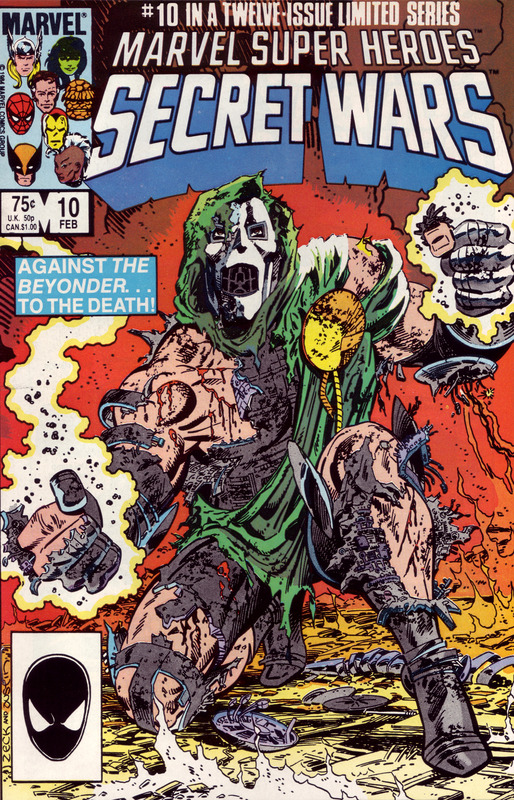 Zeck and Austin went all out here with a battered but still defiant Dr. Doom bristling with the Power Cosmic he stole from the Beyonder. Great stuff. Doesn’t get much better than this!